Unsigned Preps Inc., a Florida non-profit corporation tax exempt organization by virtue of Section 501 (c) (3). 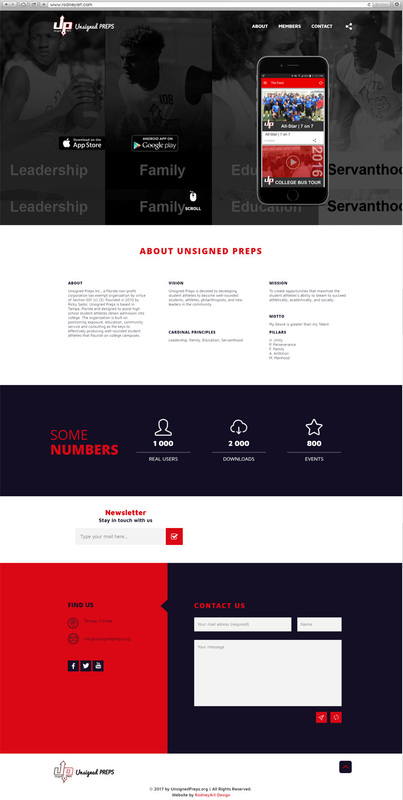 Founded in 2010 by Ricky Sailor, Unsigned Preps is based in Tampa, Florida and designed to assist high school student athletes obtain admission into college. The organization is built on positioning exposure, education, community service and consulting as the keys to effectively producing well-rounded student athletes that flourish on college campuses.